Just returned from their mainstage NAMM appearance in Southern California, this band is gaining a fierce local following of “Shoe-Heads”. 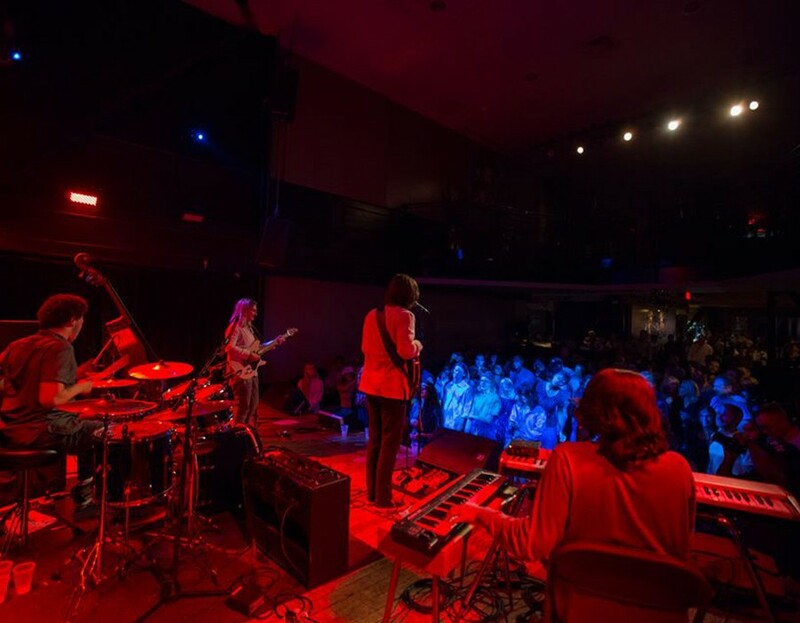 Their originals ring of early Jethro Tull, Revolver era Beatles, and psychedelic pop while their carefully selected covers span the Doors, Grateful Dead, Elton John and more. The core of the Matching Shoe consists of hypnotizing guitar and bass lines, mesmerizing keys and dynamic percussion. Led by multi-instrumentalists Dillon Wilfong (vocals/drums/guitar) and Ben Vennard (keyboards/upright bass/vocals). Their repertoire consists of both original and cover songs that combine the sounds of Classic Rock ‘N’ Roll, Art Rock, Folk, and Blues. Fueled by the same musical styles, the band released their first album ‘Out Thru the Window’ in August 2016. Their next EP titled “Don’t Hide It. Divide It” was recently released fall of 2017, which was recorded between St. Louis and Aftermaster Studios in Hollywood, California. Some of their big influences include Wilco, Johnny Cash, Pink Floyd and The Beatles. Their next full-length album is expected to release early 2019.